As a former vegan and vegetarian, I would have never imagined the day would come that I reviewed a steak restaurant. Meat and I have had quite a history, one that I will save for another day if you’re interested, that lead to my current frequent meat cravings. When I say meat, I mean proper meat like a delicious and juicy steak. 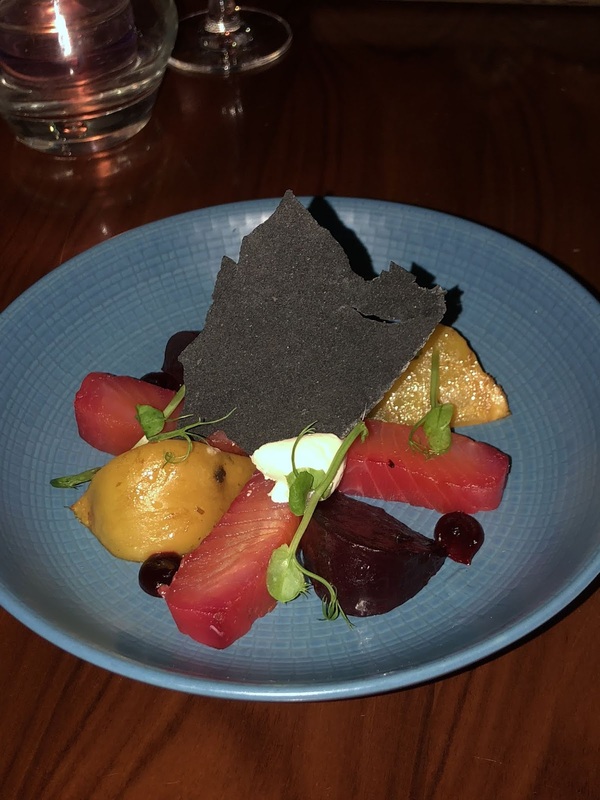 One of London’s best locations to give in to your meat cravings is STK in the ME Hotel. This is a perfect blend of bar, restaurant and perhaps club that is one of Insta’s favourite geotags. 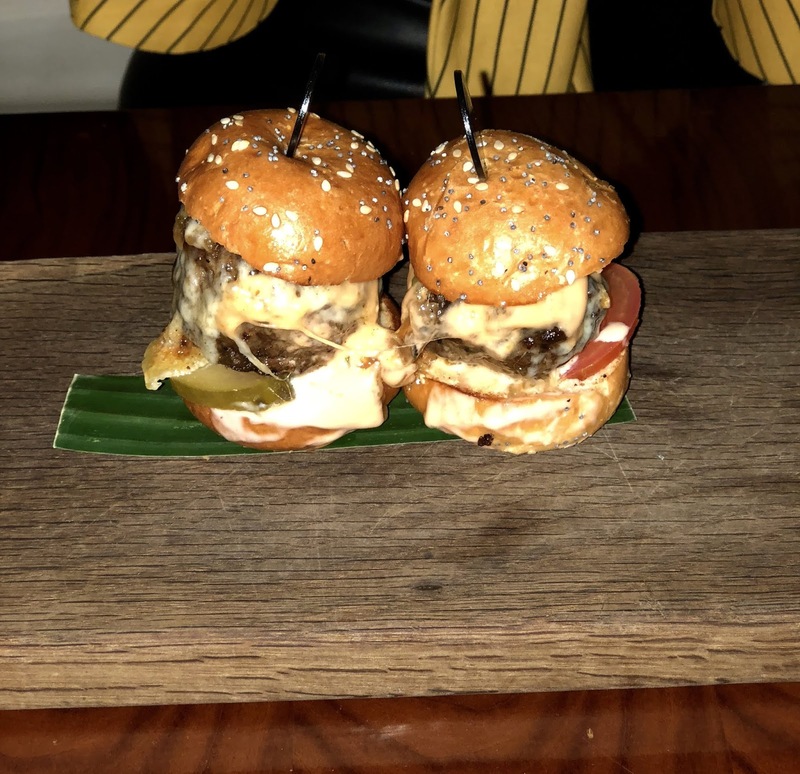 On the weekends STK is often a stop before dancing the night away in an exclusive night club, whereas during the week it is the birthday celebration hotspot. The restaurant is so famous because they tend to have a DJ playing hit after hit at club volume and the guests can’t help but get up in between courses to bust a move or two. Because STK is inside the ME Hotel the restaurant’s location is not 100% obvious from the outside. But once you walk through the hotel doors, you will be greeted by the popular ME/STK Instagram backdrop. You can hear the base of the music coming through the thick black doors that lead to the restaurant. Once you walk through the doors you are welcomed by a dimly lit venue with lots of pink and purple lights. I was slightly surprised by how large the restaurant is. It is not massive, but definitely not small either. The bar is quite central, dividing two sections of the restaurant and with only a few seats available you are definitely encouraged to start dancing! As I mentioned before, the most popular backdrop is outside the actual restaurant itself in the ME hotel lobby. Most people tag the picture they take there as STK, so when I first walked in I was slightly confused to see that this was actually outside the restaurant. A good thing to note when you are trying to match your outfit to the backdrop! The restaurant itself is gorgeous. There aren’t any props you can use but the decor does the trick. With lots of purple and pink mood lighting and a floral centrepiece to decorate the venue’s largest tables. To take good pictures inside using flash is recommended, as well as being able to ignore a few stares. Luckily, the restaurant tends to attract the Instagram crowd so most diners will also do several photoshoots of their outfits and food. In honour of Party Season, STK are offering a special set menu that includes a glass of champagne for just £30. Considering the fact that a glass of champagne would cost you about half that price, this is a very decent deal. The set menu is very similar to their a la carte menu and includes four different mains, including a veggie option! I was so surprised to see that each course offered something for vegetarians (and even vegans) as this is not really somewhere you would expect to see a lot of non-meat-eaters. With the special set menu you get to enjoy a starter, main and desert. Although the sides are listed on the menu as well, you have to pay for these on top of the set menu price. My friend and I slightly over ordered as we weren’t aware how large the servings at this restaurant were. So if you are thinking of treating yourself to a meal at this restaurant, be wiser than I was and share the sides! I can recommend the mac and cheese, it was just delicious and came with a nice crispy top. Because we already had a glass of champagne we didn’t order any other alcoholic drinks. STK is definitely known for the party atmosphere. You don’t often see restaurants that offer nightly DJ sets as entertainment during your meal. 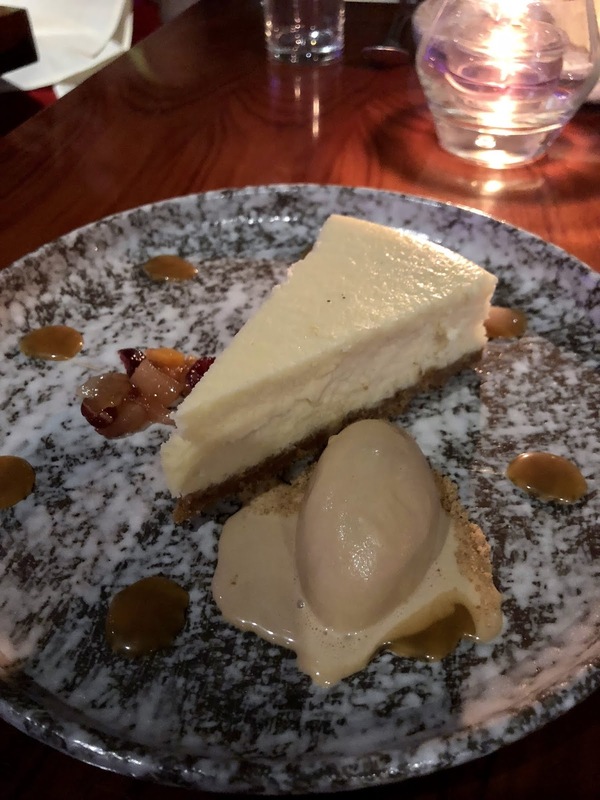 The overall atmosphere of the restaurant is pretty laid-back, people go here to have a good time and I think I can confidently say that people hardly ever leave STK disappointed. 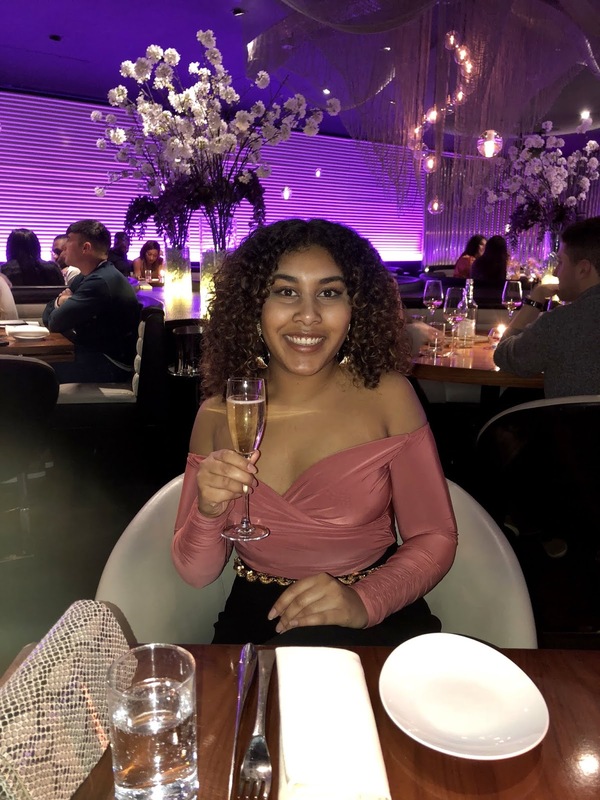 This was my second time at STK, although the first was just for drinks, and I really enjoyed the venue both times. If all your friends and family enjoy a good steak this is the perfect place to celebrate a special occasion. 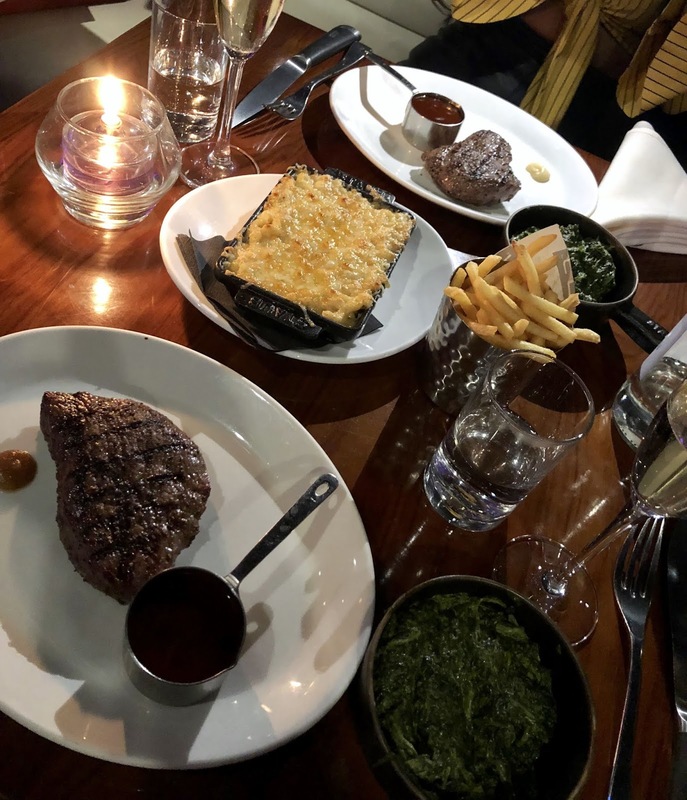 With such a central location and pretty decent prices (for London standards) I think I will definitely be going back to STK soon. It is just one of those places in London you have to cross of your list! *This post was written in collaboration with Bookatable.com, however all opinions and recommendations are my own.